When submitting trophy guides to our website there are a lot of questions that keep getting asked. This trophy guide submission FAQ will go over all of the common questions that we get asked about when using the trophy guide submission page. If there are any further questions, tips or answers you want to see added to this page let us know. This is always the first question that gets asked. This can be easily done using the text editor for each segment of the trophy guide that you are adding to. On the toolbar at the top you will see a tab that says “Insert” Click this and the first 2 options will do what you need in order to add an image. You can paste the URL of the image into the box that gets displayed. You can use an image hosted from any major hosting site such as Imgur. Please, only use images that you have created or have the rights to use. 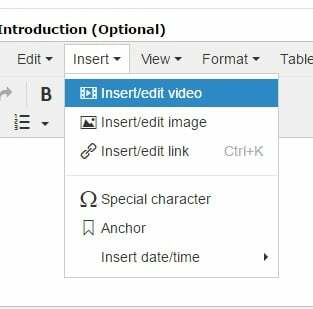 If you want to add a Youtube video you can click the link to add a video and this will open an input form. You will see 2 tabs. A regular video link tab and an embed tab. This is the tab that you need to use in order to add a video to the input form for the trophy. If you submit the trophy guide while you are logged in, then you will get a notification when the trophy guide submission is approved or denied. You will be provided with information as to why. You can also check the “Submissions” tab in your user profile to check the current status of your submission. If you were not logged in then there is no way to check the status. We get too many spam submissions that we do not make any effort to contact people who submit while they are not logged in.